AirCommand I recently added itself to the long list of airshow professionals donating their skills and expertise to the Cecil Field Airshow. The event, to be held April 18th and 19th in Jacksonville, FL is in support of the Alan Henley Foundation — a charitable organization whose sole purpose is to benefit Alan's treatment and his family. Alan Henley is lead pilot for the AeroShell Team. Tragically, he was paralyzed from the chest down while playing with his children at home in July, 2008. 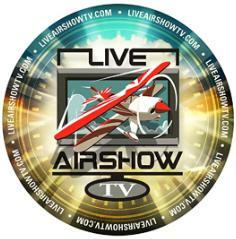 AirCommand I will be stationed at show center, serving as show control for the event. More information about this event is available at http://www.cecilfield.aero/index.html. Read Updates on Alan Henley Here. The First Annual Branson Air Show will set the stage for the grand opening of the Branson Airport on May 8-10, 2009. As the first privately financed and operated commercial airport in the United States, Branson will kick off it’s grand opening by featuring performers such as the USAF Thunderbirds, US Army Golden Knights, Aeroshell Aerobatic Team, Patty Wagstaff, John Klatt — Air National Guard and many more. AirCommand I will serve as show control, housing the airboss, narrators and other operations personnel for the event. For more information on this event go to Bransonairshow.com. And the airshow at CFB Trenton looks like a go July 4-5, 2009, based on a Canadian Forces web site. The administration has also formed emergency flying squads to monitor the situation outside the premises of the aero show. Emergency static squads have been established at five strategic points, outside the periphery of the air show. If you weren't in Sebring last weekend for the Sport Aviation Expo you missed out! It had a dizzying array of LSA models from powered parachutes to the next generation of GA training aircraft to luxury cross country machines. Read on for a preview of some of the articles you can look forward to seeing over the next couple days. Mr. Bloch joined the Army Air Corps shortly after the United States entered World War II. Serving in the Eighth Air Force as a navigator on B-17 bombers, he flew 31 combat missions over Germany, three of them over Berlin. After 47 years of service without a single hit, a with the 386th Expeditionary Operations Group here has flown its last combat mission and will be retired to the 309th Aerospace Maintenance and Regeneration Group at Davis-Monthan Air Force Base, Ariz.
Airmen in the 386th EOG and 386th Expeditionary Aircraft Maintenance Squadron celebrated the retirement of aircraft no. 1847 by dousing the aircraft with a deluge of water from two fire trucks as it taxied in from its final mission. PHOENIX — The future of Luke Air Force Base is on trial in Maricopa County Superior Court. The Kentucky Space blog points to a program at the AeroPac Rocket Club that provides mini-grants of $2500 to support student payloads on the organization's ARLISS (A Rocket Launch for International Student Satellites) sounding rockets. Join award-winning author Mr. William H. Bartsch as he discusses his latest book, "Every Day a Nightmare: American Pursuit Pilots in the Defense of Java, 1941-42," on Thursday, Feb. 26. at 7: 30 p.m. in the museum's Carney Auditorium. A native of Washington, D.C., Bartsch is also the author of two books on air operations in the Philippine campaign of 1941-42, "Doomed at the Start" and "December 8, 1941: MacArthur's Pearl Harbor," and has written numerous articles that were published in Air Power History, The Journal of Military History, The Marine Corps Gazette, and After the Battle. Click here to learn more about this event. Join the U.S. Air Force Band of Flight for an evening of music as it presents the "Hearts, Heritage and Heroes" concert on Feb. 7 at 7:30 p.m. at the National Museum of the U.S. Air Force. This annual concert showcases various musical selections to celebrate Valentine's Day, Presidents Day and Black History Month. Selections will include favorites such as "America the Beautiful" and "My Funny Valentine." Click here to learn more about this event. The museum's popular monthly Family Day is scheduled for Saturday, Feb. 21 from 10 a.m. - 3 p.m. Fly away the winter blues with some Arts and AirCraft this month by building a glider created from an egg carton. Visitors can also participate in aviation-related demonstration stations, storytime and an Aerospace Adventure. Activities are located throughout the museum's galleries. Click here for more Family Day information. A new dynamic exhibit titled "Warrior Airmen," which presents the essential role of Air Force people in Operations ENDURING FREEDOM and IRAQI FREEDOM, recently opened at the National Museum of the U.S. Air Force. The exhibit, which is located in the museum's Cold War Gallery, includes more than 400 artifacts, three dioramas with fully dressed and equipped mannequins, a robot investigating an improvised explosive device, an audiovisual presentation on a 15-foot wide screen and compelling first-hand accounts. Click here to learn more about the "Warrior Airmen" exhibit. For ticket prices and to confirm show times, visit www.afmuseum.com. Some of the air show industry’s largest warbird aircraft would be dramatically impacted by a new “Large Aircraft Security Program” that has been proposed by the Transportation Security Administration. The deadline for public comments on this proposal is February 27, 2009. ICAS encourages all of its members to familiarize themselves with the Notice of Proposed Rulemaking (NPRM) and make comments prior to the February 27 deadline. Aircraft impacted by this proposed rule would include DC3s, B-17s, B-25s, Skyraiders, some Korean War-era jet fighters, and any other aircraft with a take-off weight greater than 12,500 pounds. Operators would be required to provide criminal-history-record checks, including the fingerprinting of all flight crews. The names of all passengers would be checked against the government’s "No-Fly" list for every flight. Additional screening, similar to that at commercial airports, would be required of all passengers prior to boarding the aircraft, even for a media flight or incentive ride. Administrative and costly third-party security audits would also be required of every aircraft operator. http://www.regulations.gov/fdmspublic/component/main?main=DocketDetail&d=TSA-2008-0021. To add a comment, click on the top yellow balloon "Add Comments." Fill in your personal information (optional), and type your comments in the "Comments" box or attach a separate document containing your comments. When you are finished, click the "Next Step" button at the bottom of the page. When you are satisfied with your comments, click the "Submit" button at the bottom of the page. You can also send your comments in via standard mail. Send them directly to Docket Management Facility, U.S. Department of Transportation, 1200 New Jersey Avenue SE, West Building, Ground Floor, Room W12-140, Washington, DC 20590-0001. Or you can also fax your comments to the Docket Management Facility at (202) 493-2251. The three geographically based regions of ICAS are planning their midwinter meetings and cordially invite you to participate. 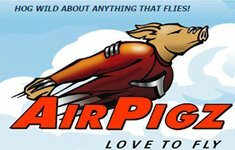 The Northwest Council of Air Shows (NWCAS) Conference will be held February 13 and 14 at the Seattle Airport Marriott Hotel near Seattle-Tacoma International Airport. Details on the schedule and registration options can be found on the NWCAS website at www.nwcas.org. The Northeast Council of Air Shows (NECAS) will hold its big event on February 20, 21 and 22 at the Clarion Riverside Hotel in Rochester, New York. For more details on the program and registration information, visit the NECAS website at www.necas.org. The annual conference of the Southwest Air Show Networking region will be held at the Hiller Aviation Museum in San Carlos, California on February 27 and 28. Details on the program can be found at www.swansafety.com. The United States Marine Corps recently announced the performance schedule for the AV-8B Harrier demonstration. Shows included on the 2009 schedule are MCAS Yuma Open House and Air Show in Yuma, Arizona on March 14; MCAS Cherry Point Air Show in Cherry Point, North Carolina on May 15-17; OC Air Show in Ocean City, Maryland on June 13-14; Quad City Air Show in Davenport, Iowa on June 20-21; the Greater Binghamton Air Show in Johnson City, New York on July 4-5; the Tacoma Freedom Fair Air Show in Tacoma, Washington on July 3-5; the Prairie Air Show in Peoria, Illinois on July 10-12; the KC Aviation Expo in Kansas City, Missouri on August 22-23; the Cleveland National Air Show on September 5-7; MCAS Miramar Air Show in San Diego, California on October 2-4; the Great Georgia Air Show in Peach Tree City, Georgia on October 10-11; the St. Petersburg Airfest in St. Petersburg, Florida on October 23-25; and the Wings over Houston Show on October 31 and November 1. The MV-22 Osprey will appear on static display at the following events: the Joint Services Open House at Andrews Air Force Base in Maryland on May 15-17; the Indianapolis Air Show in Greenfield, Indiana on June 5-7; and the Fort Worth Alliance Air Show in Forth Worth, Texas on October 24-25. The opening general session at the 2008 ICAS Convention was widely hailed as the strongest ICAS keynote presentation of the last 20 years. With the help of moderator Miles O’Brien, Major General Bill Anders, USAF (retired) and Colonel Frank Borman, USAF (retired) captivated the audience of ICAS Convention delegates with an entertaining, behind-the-scenes look at their Apollo 8 mission to the moon in December of 1968. At the convention and in the six weeks since, ICAS received many requests for a DVD recording of that session. ICAS now has a limited supply of DVDs that documents the entire Borman/Anders presentation. To get your copy, send a check for $10 to Opening Session DVD, ICAS, 750 Miller Drive, Suite F-3, Leesburg, Virginia 20175. Or send your credit card information (Visa, Master Card, American Express) with your street address to icas@airshows.org. With so many different functions and so much information, the new ICAS website (www.airshows.aero) has a lot of nooks and crannies for you to explore, but we’d like to direct your attention to one specific feature that requires your active involvement to live up to its considerable potential as an information resource for all of our members. In the orange navigation bar at the top of the new home page, there’s a button entitled, “Member Forum.” Click on it and you’ll be transported to a “members only” message board that provides all of our ICAS members with a simple, but effective vehicle for communicating with one another on issues of common concern. Only members can get access to these discussion boards when they log in and that means that you can talk about the business of air shows without fear of spectators or the press seeing what you’ve written. We’ve not publicized the existence of these message boards, so there hasn’t been much activity thus far, but it’s our expectation that – over time – the Member Forum will become a virtual community that provides many of the same opportunities for member discussion that ICAS members could previously only get at the annual ICAS Convention. If you don’t see a topic that sparks your interest or addresses your specific interest, create a new thread. The software is both very flexible and very intuitive. So, log on and help us get the conversations started. The staff and leadership of the Vectren Dayton Air Show have agreed to host the 2009 ICAS Academy, to be held on July 16, 17 and 18 in Dayton, Ohio. The management team that will host the 2009 ICAS Academy in Dayton is the same group that helped organize and conduct the first ICAS Academy in July of 2000 in conjunction with the Muskegon Air Fair in Muskegon, Michigan. As simple as it is effective, the ICAS Academy singles out one air show each year to provide event organizers with a unique opportunity to get a behind-the-curtain look at how an air show is organized, managed and conducted. Participants receive hundreds of pages of important planning documents. Although it is a huge undertaking for the host event, the ICAS members who have participated have found it to be perhaps the single most effective training program that ICAS offers. Participants arrive on Thursday, spend all day Friday talking with air show organizers, touring the ramp and getting an up-close look at how the show organizes and conducts their event. During the lecture portion of the program, directors with specific expertise about different aspects of the show provide briefings, followed by the opportunity for questions and discussion. On Saturday, Academy participants watch the show from the VIP chalet. This year, Dayton will host the Thunderbirds, the Brazilian Air Force military demonstration squadron, Golden Knights, Sean Tucker, Patty Wagstaff, Tora Tora Tora, and the C-17 demonstration. The fee to participate in this unique educational program is $265 per individual. The program always sells out and it appears that this year’s Academy will be no different. To learn more about the 2009 ICAS Academy and register for the program, contact ICAS headquarters at icas@airshows.org or by phone at 703-779-8510. In July of 2008, air show performer Alan Henley suffered a serious spinal injury in a household accident in his Birmingham, Alabama home. The accident left Henley paralyzed with a mountain of expenses that are not covered by his family’s health insurance. To help defray some of those staggering expenses, Alan’s air show friends and colleagues have scheduled a benefit air show for April 18 and 19 at Cecil Field, just outside of Jacksonville, Florida. Thus far, the event organizers have confirmed the participation of the Aeroshell Aerobatic Team, Steve and Suzanne Oliver, Manfred Radius, Gene Soucy and Teresa Stokes, Matt Younkin, Sean Tucker, Patty Wagstaff, John Mohr, Greg Koontz, Gary Ward, Fred Cabanas, Iron Eagles, Red Thunder, Fowler Cary, Greg Poe, Carol Pilon, Gary Rower, Kent Pietsch, Jim Peitz, Jacquie Warda, Corky Fornof, Red Eagles, E-Team Skydivers, Chuck Vincent, Lee Lauderback, Dale Snodgrass, and Jim “Fang” Maroney. For more information on the show, visit www.cecilfield.aero. The Cirrus Design Corporation recently renewed its sponsor relationship with ICAS member and air show performer Patty Wagstaff for the 2009 air show season. An active, visible and passionate advocate for general aviation, Wagstaff flies an Extra 300 in air shows and flies a Cirrus SR22 to manage her extensive travel schedule. (C) International Council of Air Shows, Inc. US Airways pilot Chesley "Sully" Sullenberger and the crew from Flight 1549 will be honored by the NFL before the Super Bowl. Terrafugia Readies For Flight Tests The stories are legion... the 'roadable plane' the vehicle that would cross over a number of barriers to offer the ultimate in transportation versatility. And that's just some talented engineers from MIT are working on... the 21st century version of the 1960s "Aero Car." Hawker Restorations chief pilot Stu Goldspink took over the controls for the maiden flight. He taxied out on a sunny still afternoon to position G-HHII onto the northern ORP on runway 20 at Weald. After normal engine runs, he lined up and at 13.59 our Hurri Bomber took to the Essex skies once more and a full 63 years since serial number 5403 last flew and a sight not observed for some 67 years at North Weald aerodrome. The Air Force Thunderbirds will do a pregame fly-over and a Special Operations Command color guard will present the flag for the national anthem. 'Look but don't touch' is usually the mantra of museums… but not at the Air Zoo. During the month of February, visitors will be able to experience a different view of aircraft… from the cockpit. Earlier today Aviation Week & Space Technology's Guy Norris posted the sad news that Paulo Emanuele, general manager of Airliners.net, died in the crash of his two-seat SIAI-Marchetti SF-260 while attempting takeoff. At the time of this posting, the identity of the second passenger has not been released. I'd be remiss if I didn't point out that in a business meeting in New York today, I learned that some of my colleagues interacted with Emanuele when we were arranging our recently launched affilation with Emanuele's site, where we've started porting some of the news shown here at AviationWeek.com. Airliners.net currently has a beautiful tribute page up in his honor and by every account, there and here, he was a delightful man who lived well. Sympathy to his loved ones, and prayers for him. 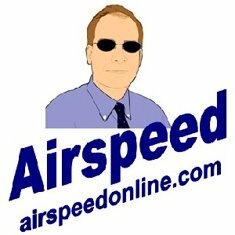 Paulo Emanuele, head of popular aviation enthusiasts website, Airliners.net, died yesterday after his aircraft crashed on the runway of Santa Monica Airport. Leon Kumor and Larry and Susan Walters spent several days in September participating in the National Championship Air Races near Reno, Nev. They joined crew members of the Jim Good Air Race team in keeping the "Wyoming Wildcatter #77," a WWII Navy SNJ-5, ready for racing in the T-6 class. The airplane and pilot/owner, Jim Good, are based in Casper, Wyo. In 1930s Russian army was … by the idea of creating huge planes... Still on the photo below you can see one of such planes - a heavy bomber K-7. The best 13 Airmen were selected from 77 bluesuiters gathered for the Air Force Worldwide Talent Search Jan. 11 through 19 at Lackland Air Force Base, Texas.